Recently there's been some discussion about Amazon not paying all the royalties authors are entitled to. Here I am talking about print copies which have been published via CreateSpace. So I decided to try them out. 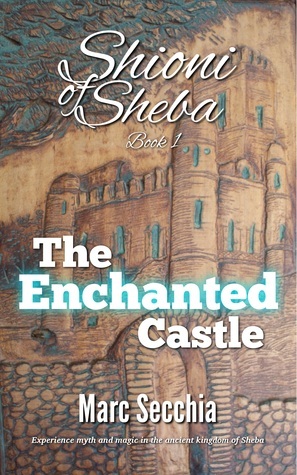 Yesterday a friend placed an order for 3 print copies of the first book in my Shioni of Sheba series, The Enchanted Castle, on Amazon.co.uk. The order showed up on my royalty report within 24 hours. Now that's decent service, well done, Amazon! However Amazon.com has been less impressive. I helped a friend place an order for 1 print copy of each of my books on September 5th (you'd think that should be easy to track...). The order was delivered on the 14th, and as of today the 19th, nothing. I've contacted CreateSpace customer service with the order details to see what they say. More on this when I hear from them! If this happens to me, and I am relatively small fry in the world of book sales at present, then I wonder what other authors are missing out on. And surely Amazon is legally liable to pay out royalties due to authors? I wonder what the scale of these 'glitches' are, which are surely helping Amazon's profitability?